Have you ever wondered how to make ringtones on iTunes? By default, you have to buy ringtones on iTunes. However, you can make your own custom ringtone for your iPhone 8 or any iPhone variant using your current music library. There’s a video walkthrough at the end of the post. Under the “Options” tab, check the “Start Time” and “Stop Time” boxes, then set the song up to play at an interval of 30 seconds or less. 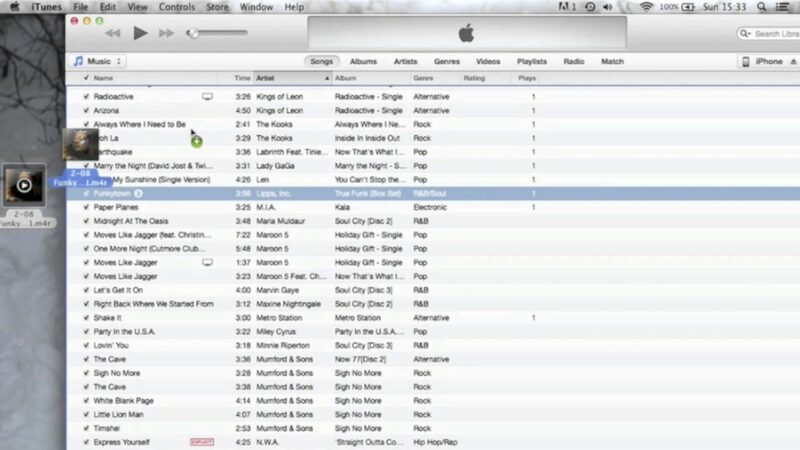 This creates a new 30-second version of the song in iTunes. Drag and drop the new file to your desktop. Lastly, right-click the file on your desktop and rename it with a .m4r extension. You may need to enable viewing of extensions in Windows. To change this, open the Control Panel from the Start menu — you can also search for the Control Panel app in Windows 10 — and select Appearance and Personalization. Next, click File Explorer Options. After, click the View tab, uncheck the box beside “Hide extensions for known file types,” and click the Apply button at the bottom of the window. Now you should be able to see and edit the file extension. Connect your iPhone to your laptop. Drag the music file from above to the “Tones” folder in iTunes. After syncing your device, the song is now available to select as an iPhone ringtone under “Settings” > “Sounds” > “Ringtone”. Once complete, right-click the song you originally used, choose “Get Info” and set the interval back to normal under the “Options” tab. These steps work for iTunes for Windows, Linux, and MacOS on your computer and all versions of iOS for your iPhone. Yes, it also allows you to create custom ringtones in iOS 11. Now you know how to make ringtones from iTunes.